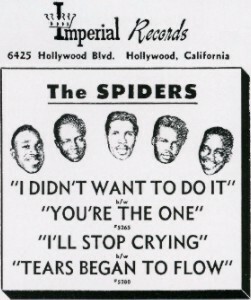 "Tears Began To Flow"/"I'll Stop Crying"
Above: A 1954 photo of The Spiders, a New Orleans group. (Top L-R) Leonard "Chick" Carbo, Oliver Howard, Matthew West, (Bottom L-R) Joseph Maxon, and Hayward "Chuck" Carbo. 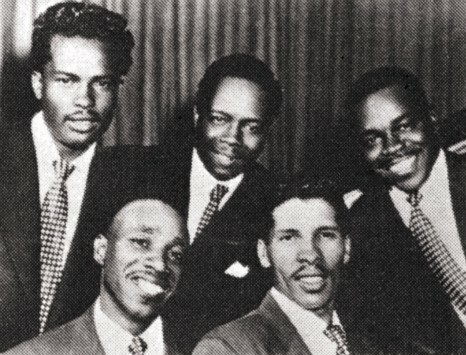 Their biggest hit was "Witchcraft" in 1955. 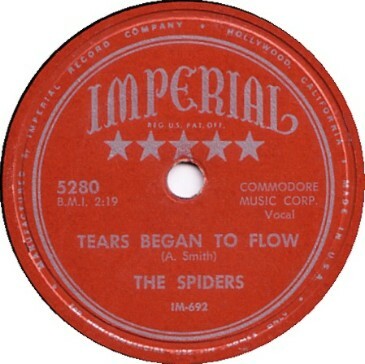 Above: Label image for Imperial 5280 released in April 1954. All their recordings were done for Imperial.